4 Beds 2 Baths 2,052 Sq. ft.
You'll love this location at the end of a cul-de-sac on a huge lot! 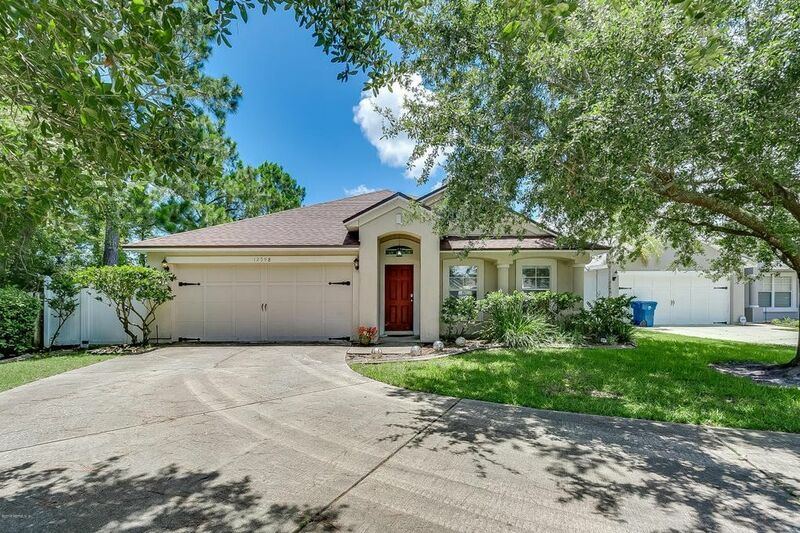 Easy living here with spacious room all with tiled floors-Enter into the large living/dining room combination-then move through to the updated kitchen with breakfast island completely open to Family room with sliding doors to the glass enclosed lanai...and huge backyard beyond! Beautifully maintained...New Roof this year!! Separate laundry room - 2 car garage includes a great built in workbench...Enjoy the community pool all summer... Come see this home today! Directions: From Atlantic Bouolevard go North on Hickory Creek (across from Kensington). Right at first stop on Abbess Blvd - Lefts on Sterling Hill Dr to first right on Brookchase to end of cul-de sac.